Wednesday, June 29. 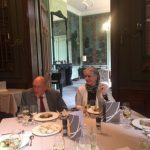 At the SBI Estate Zonheuvel an exclusive Earth Charter Dinner took place. This meeting was dedicated to International Earth Charter Day; the 16th anniversary of the Earth Charter, which is celebrated annually on June 29. 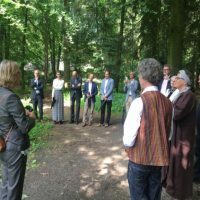 Last year, to mark the 15th anniversary a special tree was planted at the SBI estate Zonheuvel. The meeting was aimed at activating the interactive dialogue and at raising awareness of the Earth Charter principles and related sustainable development goals. How do we want to treat our Earth and each other, and how can we achieve this? Topics such as inclusive economic growth and employment, sustainable consumption and production of food but also the strength of Africa were discussed. 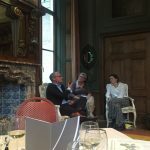 Economist Professor Johan Witteveen lectured on the impact of Brexit for Europe. He indicated that the Brexit offers the EU an opportunity to revise its unrealistic target for budget deficits of half a percent of the GDP and instead return to the original 3% of GDP on average. This gives more room for countries that are doing well economically to invest for example in health care and education, and it will also help countries make it economically less well. 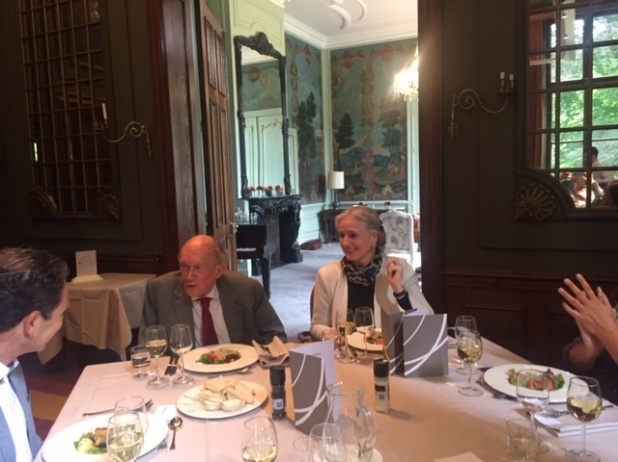 Floris Lambrechtsen of Double Dividend offered another view: why not strive for a world without debt where capital is a means to achieve sustainable growth. About the purpose they were unanimous: an economy that takes account of future generations and not lead to perverse developments. 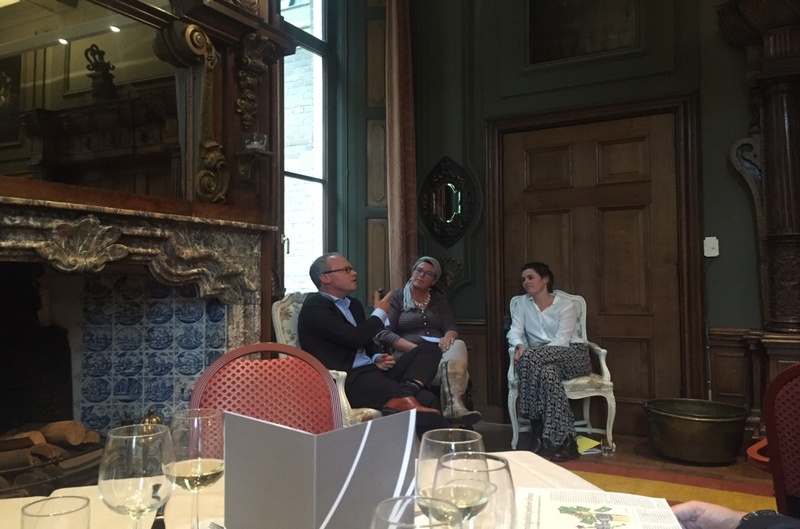 Joszi Smeets, Director of Youth Food Movement and Michael Savage EOSTA both stressed the importance of the True Cost of Food. Only then can a fair comparison be made between organic and traditional farmers. There also was a discussion about the dilemma of whether or not to engage with other parties. Especially when something is successful and other traditional parties like to get a piece of it. The immediate reason for this question is the new initiative of Youth Food Movement to raise awareness in parliament for food education classroom. This is necessary according Joszi because children have no idea where their food comes from anymore and do not even know what a potato actually looks like. To create a discussion in parliament about this topic 40,000 signatures are needed and so YFM has launched a campaign, with the support of EOSTA. Non-biological parties also offered to collaborate (for example the trade association for food) but Joszi was very hesitant. How to deal with these contacts and do they bring you closer to your ideal or not? It led to a lively debate and the promise of those invited to sign the petition. Bas Maassen and Neville Mchina supported ‘the strength of Africa’. The Dogon Project in Mali helps women through training, education and micro-credit. Already 5,000 women started their own businesses and this number should be doubled in 2020. Neville Mchina pointed insistently at the trauma of residents of Africa and at the ‘victim behaviour’. He is convinced that his – still youth generation – can ensure that people start to understand that the solutions of the problems start at the level of the individual. From this motivation he founded the initiative Rise Together for Africa to reflect and teach them to discover their strengths and talents and to focus African students in Europe on their self-responsibility (leadership) so that they can use them for their continent. He indicated that the Show Your True Colours in leadership development could play an important role. Also it was proposed to follow the training program from Earth Charter International for young people. 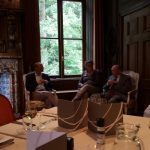 From the audience there additionally were many suggestions to make a much larger network for this initiative and also Bas Maassen and Neville Mchina are still talking about various forms of possible cooperation. The evening concluded with the exchange of contacts and a commitment to further support the initiatives put forward. 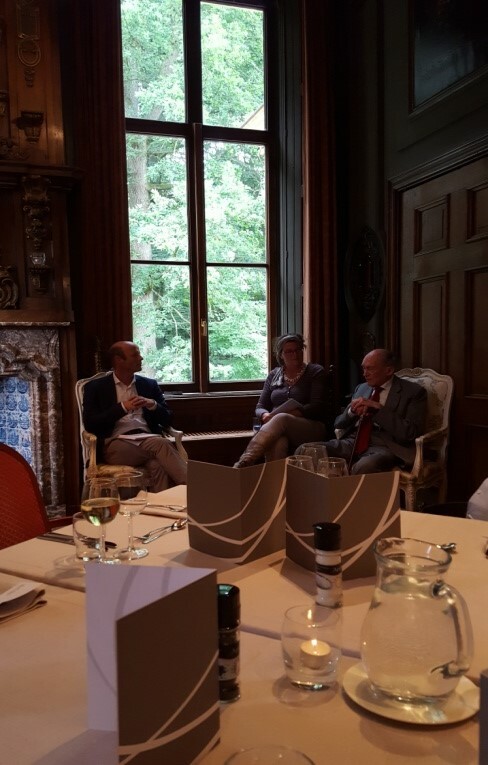 An inspiring meeting at a beautiful location; Therefore it has been decided to continue this inspiring tradition next year at the SBI Estate in Doorn.